Prime Minister Stephen Harper's new assertion that he "dismissed" his chief of staff for writing a $90,000 cheque to Senator Mike Duffy conflicts wildly with what he has said in the past. Back in May, Harper suggested in a statement that it was difficult to see Nigel Wright resign from his office. "It is with great regret that I have accepted the resignation of Nigel Wright as my Chief of Staff," Harper said. "I accept that Nigel believed he was acting in the public interest, but I understand the decision he has taken to resign. I want to thank Nigel for his tremendous contribution to our Government over the past two and a half years." But on Monday, Harper sang a different tune during an interview with Halifax radio station News 95.7. "I had a chief of staff who made an inappropriate payment to Mr. Duffy — he was dismissed," Harper said. Wright left Harper's office on May 19. Harper has long maintained that he only learned about the Wright-Duffy deal from news reports on May 15. The prime minster has naturally been asked about Wright's exit many times in question period since last spring. On Monday, YouTube user SleepyRobAnders posted a clip capturing some of the times the prime minister said Wright resigned from his office. 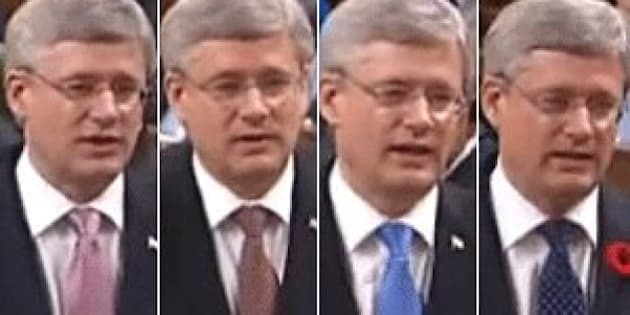 The clip is titled, "Stephen Harper supercut: Nigel Wright resigned."